I have been working mostly in Java for the past 4 years and my new work demands me to learn Ruby. So I've started looking into it for the past week and thought I would share my learning process so that it would be useful for someone out there. And thats the objective of this series of posts for someone having a Java background and wanting to learn Ruby. Ruby is a high level language made of a high level language. Not suitable for large applications. Completely open source and is in a budding state. Community out there is getting better day by day and finding help immediately should not be a problem as time goes by. Has significant changes between releases which many developers wont welcome right away. Running time cannot be easily estimated since the language has several underlying implementation in several languages. But there are various profilers available to test them. Books are always outdated by the time when you finish them. 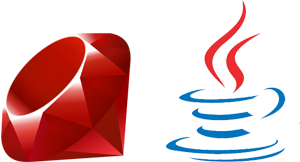 Now that the premise being established on what Ruby is, we shall learn it and have a comparison/understanding on how it relates to Java. Now that google has removed the restriction on its documents, it is time for us to start exploiting it. No need to upload your pictures in some free image webhosting websites where you wont be having the 100% surity of whether it might come up all time or you'l see a "bandwidth exceeded" message. Upload it to your own google account and with some tweak, we can link it directly in the webpage. You can do the same with Picasa, but you will have to create an album every time and it becomes kind of annoying to maintain it. Same goes with the flash presentations as well. No need to host it to any unreliable free websites. Upload it to your own google document. 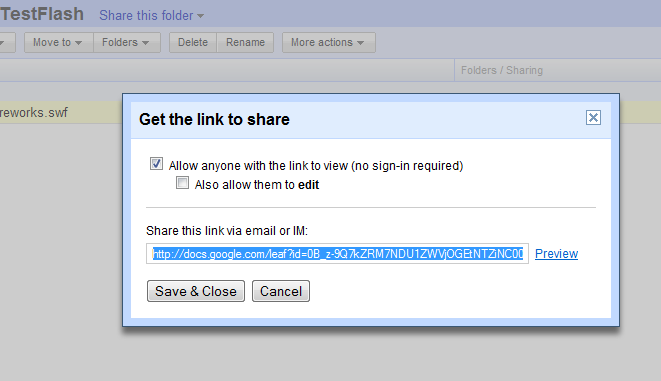 Plus if you want any referring files you can very well upload it to Google Docs. Yes, there is a limit on the size per account but still 7+ GB will become handy for small and medium bloggers. Ok, the steps are very very simple. 1. Login to http://docs.google.com. Sign in with your google id and password. 2. Click on upload from the left top and select "any" file type you want only restriction is it cannot exceed 100 MB. Do not forget to uncheck "Convert documents, presentations, and spreadsheets to the corresponding Google Docs formats" if you feel you dont want Google mess up your documents. The last one &confirm=no_antivirus can be given to files of .exe and .zip extensions. Hope this helped. A sample flash file embedded from google doc can be found here. This is one of the interview questions I faced recently and thought I would share it. Given a matrix print all its value in a circular fashion like shown in the image below. To attack this problem we definitely want to have a left-right, top-bottom, right-left and bottom-top spans. For attaining this, we obviously want to have 4 loops. The C++ code is given below. This is one of the three problems asked in the 2010 Edition of Google Codejam Qualification Round. The question is quite interesting and simple to solve and I did solve. But the problem here is the running time. If not a proper strategy is followed, then the running time of the algorithm will be more and eventually you cannot submit the answer in time for large data set. Lets look at the problem. Roller coasters are so much fun! It seems like everybody who visits the theme park wants to ride the roller coaster. Some people go alone; other people go in groups, and don't want to board the roller coaster unless they can all go together. And everyone who rides the roller coaster wants to ride again. A ride costs 1 Euro per person; your job is to figure out how much money the roller coaster will make today. If you look at the above solution, I have followed the problem by the word. But turned out this cannot take the large data input set simply because of the amount of time it takes to run. The mole in the above solution is that I calculate the eachSum everytime for all R iterations. The large dataset is having R upto 10^8 and Group to be 10^7. 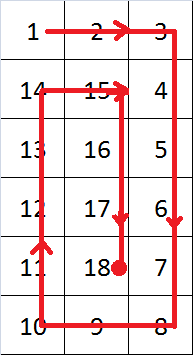 So the runtime in worst case will be 10^16 which even the fastest computers invented these days struggle to solve in small time. So, I had to attack my problem in a different manner. All Google CodeJam problems dont have any space criterion, so its wise to make use of it. So, what would be ideal here is to precalculate the sum and extent for each group before hand. This would take a max of 10^3 * 10^3 = 10^6 iterations. The results are stored in a separate array for faster recovery. Then iterate through the entire R once and finish the problem in constant time. The matured code is given below. This is the problem asked in 2009 Google Codejam's qualification round. Lets get into business straightaway. The solution for this problem is relatively simple compared to the other codejam problems that we are going to solve in the future. The solution is implemented in Perl language. It uses the regex pattern matching method. This is a problem that we had already seen. But it gives more kick if the input has negative elements and zero!!! Given an array of integers (signed integers), find three numbers in that array which form the maximum product. [O(nlogn), O(n) solutions are available ]. This problem is quite frequently asked and we had already seen a solution in O(n) time but using a hash table here. However in this posting we shall see how to attack this problem when the input data is sorted. The solution for this problem relies upon the knowledge of the input data : sorted. We will be having two pointers, one from the start of the Array called as min and the other from the end of the array called as max. We always calculate the sum with the values present in the minimum and maximum indexes. If the sum is greater than what is needed, we will be decrementing the max pointer and for the other case, we will be incrementing the min pointer. This happens till min exceeds max. This problem may look very simple and indeed it is because the solution can be arrived at very easily. But to arrive at a clean and an efficient may take sometime. This question is asked to test the cleanliness and simplicity in providing solutions. Enough hype, here is the question. Given an array of random numbers and -1 placed in-between, compact that array ie., all the -1s are to be removed and the final output should be the last valid index with the fresh array. For example. You should not swap the values just the last valid index along with the array is enough to decipher the not -1 values. The solution to this problem is seemingly simple and the same has been implemented in Java below.